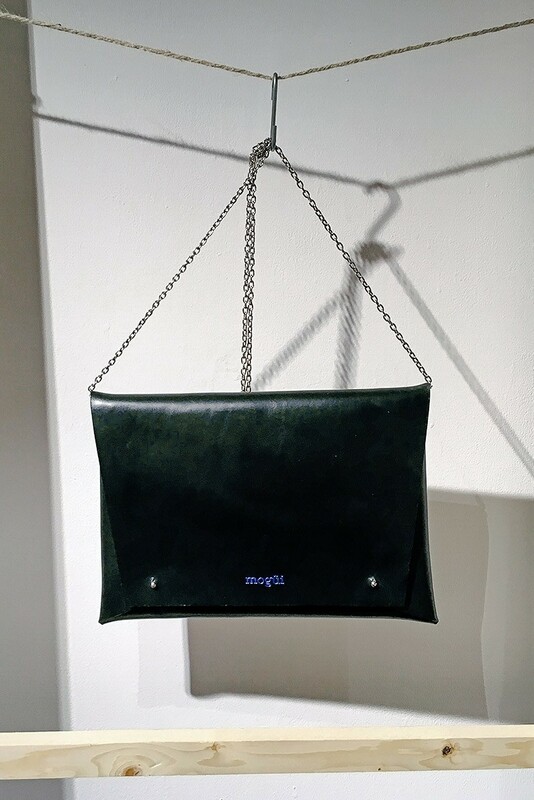 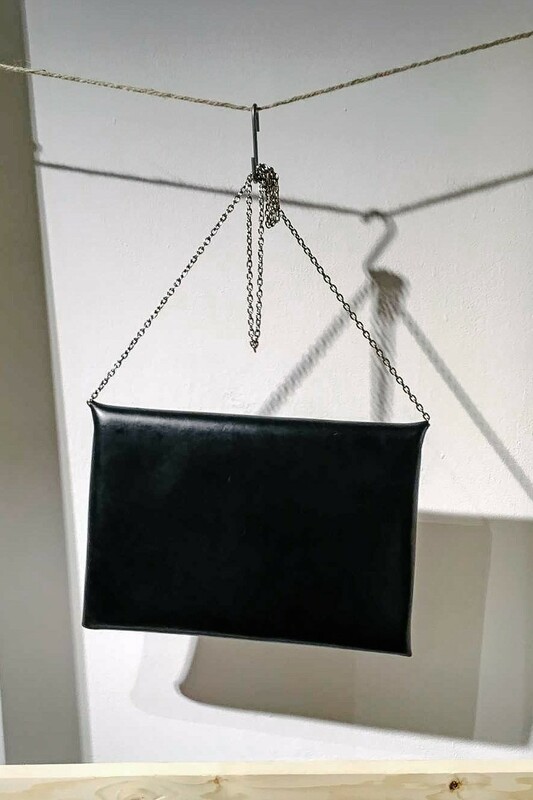 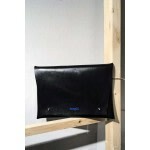 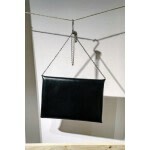 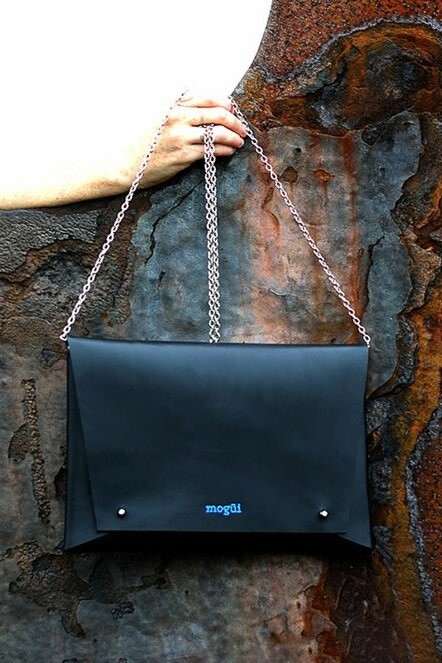 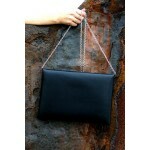 This black envelope clutch bag from Mogüi is handcrafted in Spain from vegetable-tanned leather and detailed with a silver-tone metal chain strap to keep it versatile. 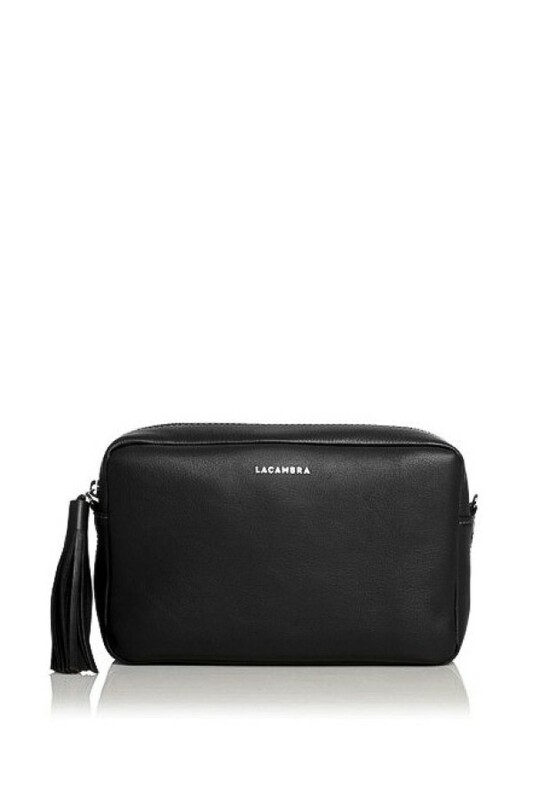 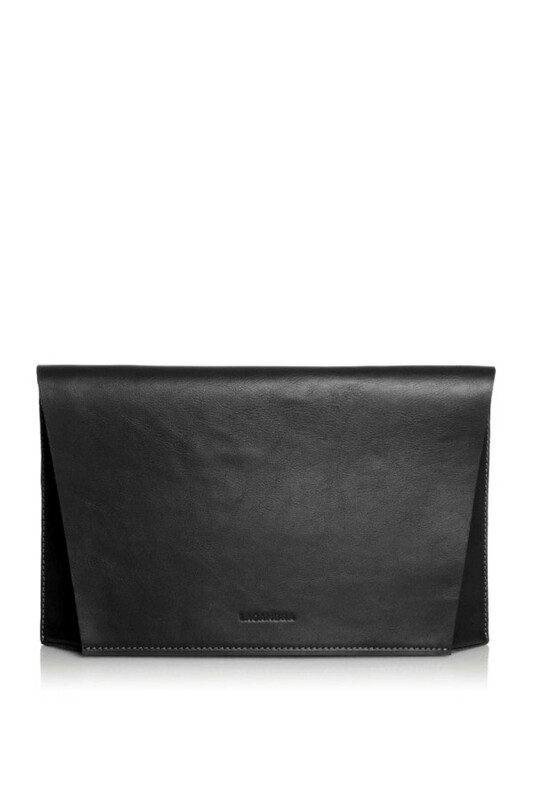 The timeless black color combined with the clean, linear shape make this contemporary envelope clutch an essential addition to your capsule wardrobe. 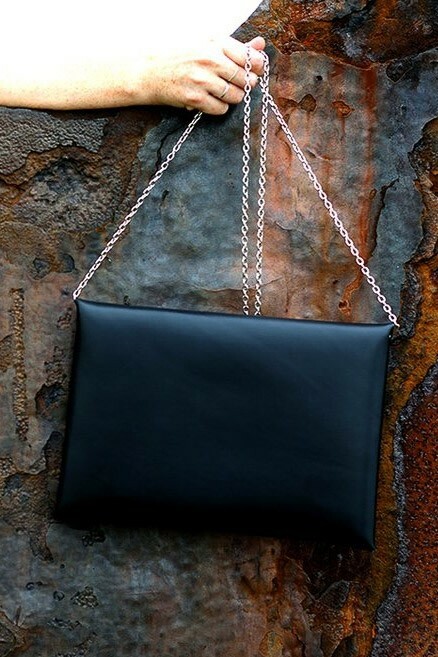 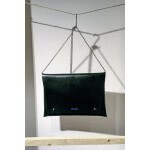 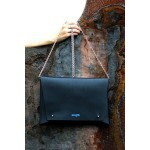 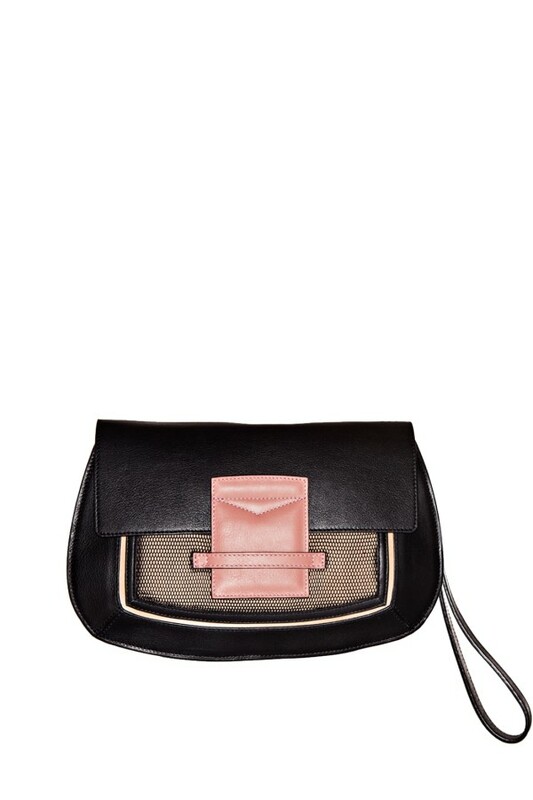 A perfect accessory to compliment your evening attire, carry it alongside neutral separates and black heels. 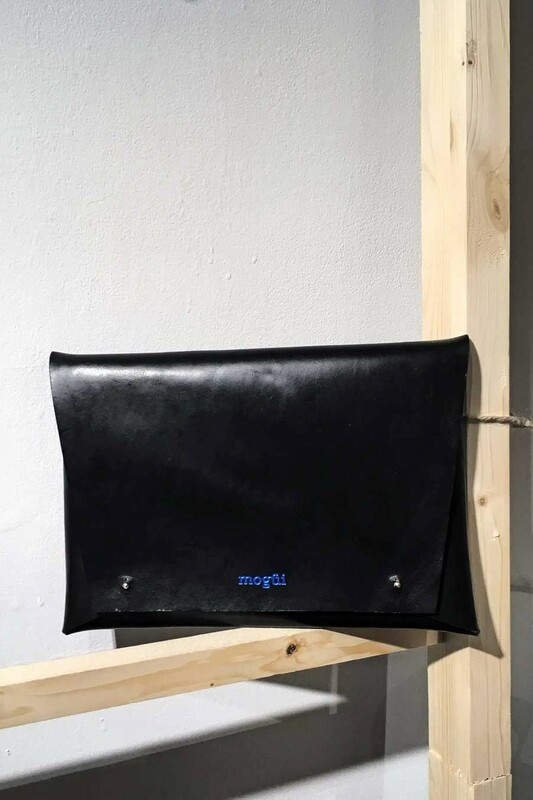 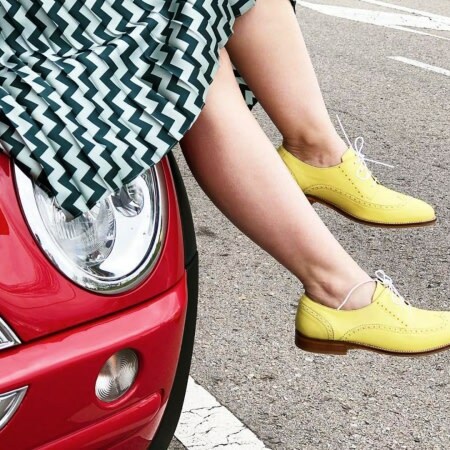 Designed by Paula Hevia, who originally started out with a background in Psychology and eventually decided to pursue her passion in fashion design, Mogüi is an eco-friendly accessories label with a simple ethos – create unique products with responsibility. 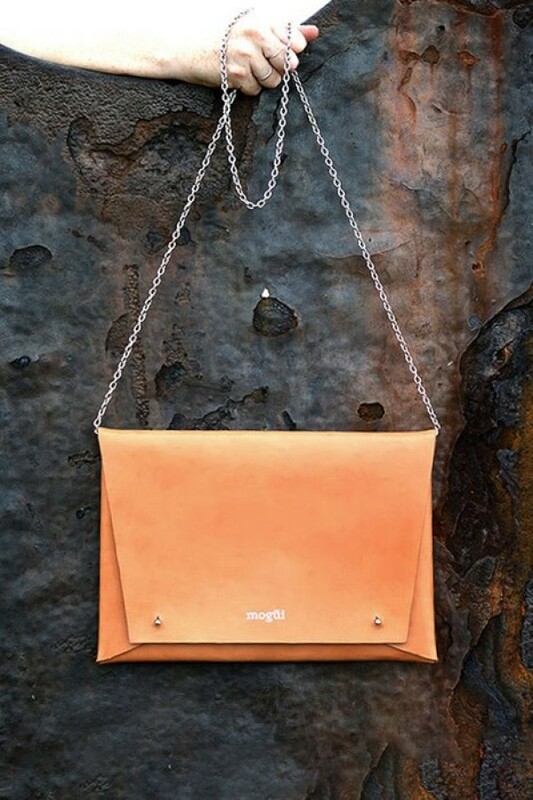 The brand is proudly focused on one-of-a-kind and limited-quantity pieces, all handcrafted in Spain using natural materials like ecological tanned leathers, wood, silver and minerals. 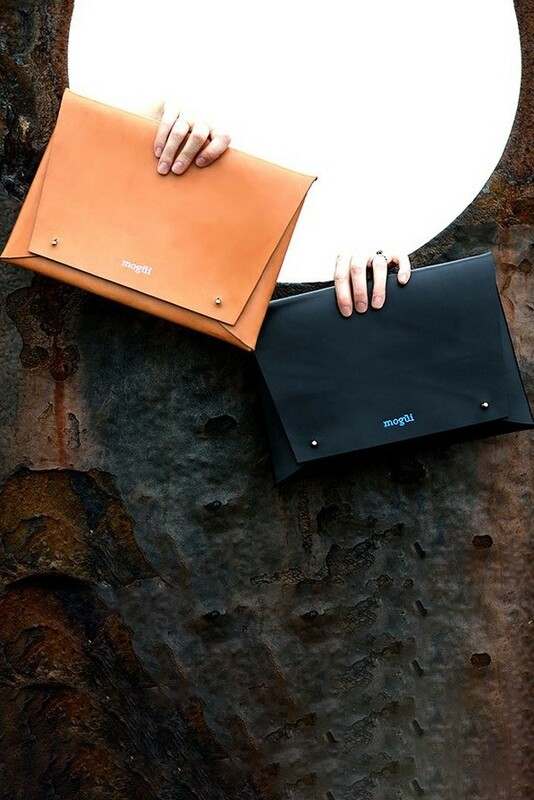 Inspired by clean lines and simple patterns, the minimalist designs are presented with a contemporary twist that are essentially elegant, functional and ethically produced.